If you are moving out to a new house or office, these high-quality moving blankets will definitely keep your valuable possessions like furniture, appliances, or instruments from being ruined during the transfer. Ensure the safety of the things you worked hard for! This moving blanket is used to wrap your chair or end table and also great for protecting your vehicle from objects placed within. It easily fits the contours of a trunk or cab with its flexibility. It is also packed with durable batting for more protection. It measures 72″ x 45″ so it is ideal to protect cargo area. Fortunately, its durability can last up to five years or more! 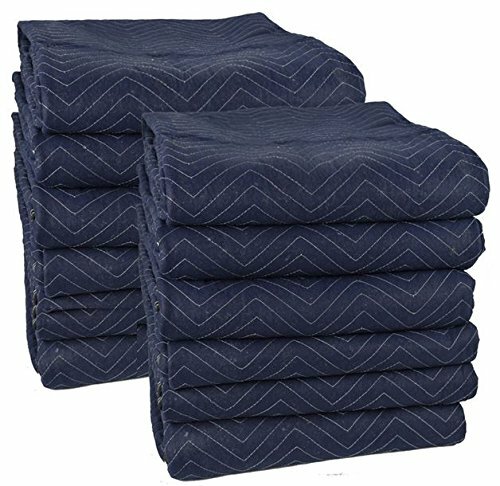 This high-quality moving blanket is a twelve-pack dual-sided blanket with a great price. It will prevent furniture and vehicle from scratches, dings, dents and other storing disasters. It is also great for both indoor or outdoor activities with your loyal pets. It is available in two sizes and you can order one blanket at a time or this twelve-pack blanket. Plus, it has a dirt- and dust-resistant surface! 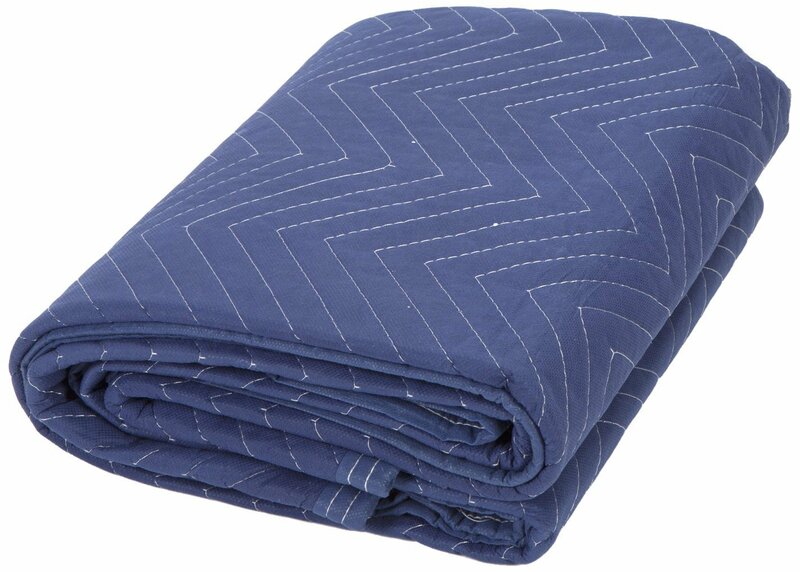 This moving blanket has durable materials that resist ripping. It has good padding for automotive work and no awful odors. 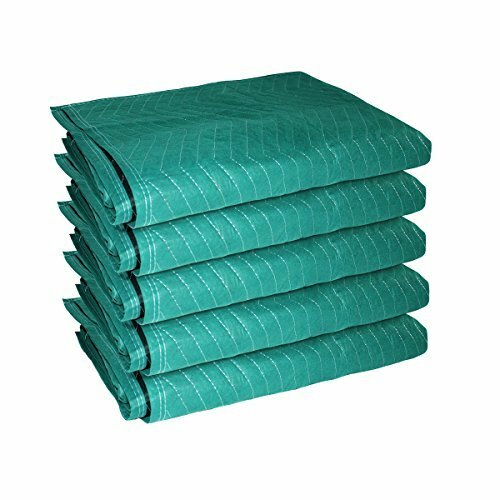 It has recycled cotton padding and 100% non-woven polyester cloth. It measures 73.5 inches L x 80 inches W with a zig-zag double lock-stitching. Plus, it only weighs approximately 3.75 lbs, very lightweight! 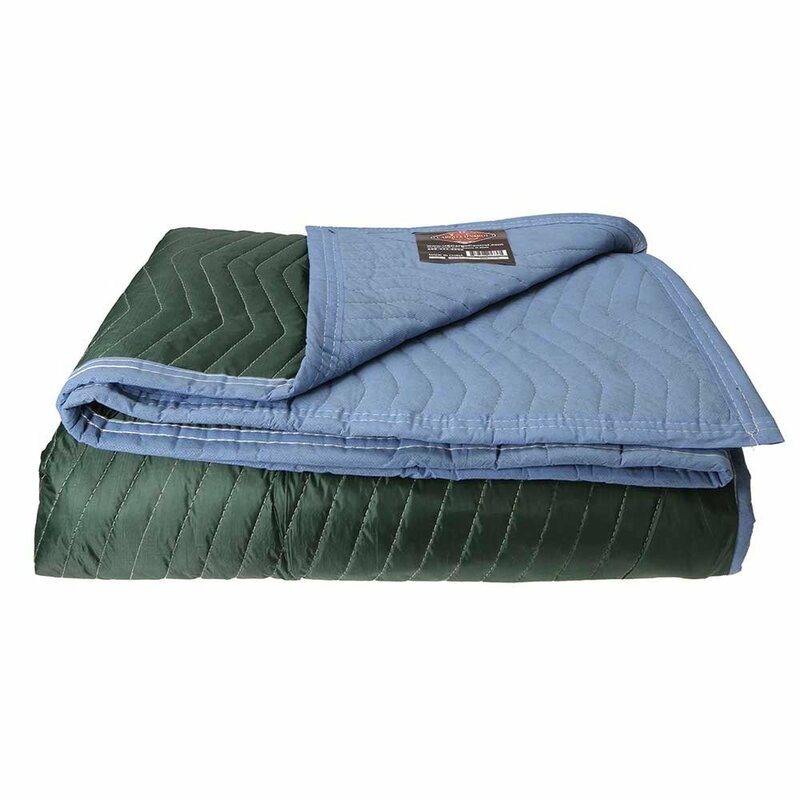 This moving blanket has a thick, rugged and generous quilted padding within. It weighs six and a quarter pounds with layers that are combined to help protect everything. It is made with 3″ non-woven binding on all 4 sides with 4 finished corners. It is ideal for large valuable items for storage or transport because it will not is less likely to tear or get ripped. However, it is pricey but the quality is worth it! 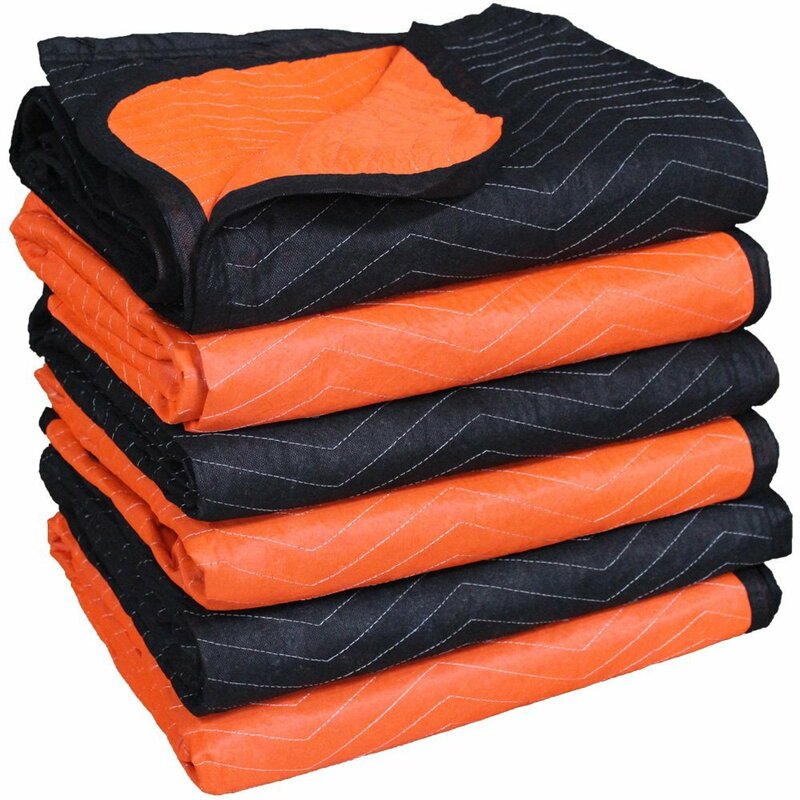 This moving blanket has a vibrant orange color on one side and a demure black on the other. It is made of 100% recycled fibers so you are sure that the fabric is durable enough to protect your belongings. It measures a generous 72- by 80-inch size for a large capacity of items to wrap. It is also lightweight with 3.5 pounds of weight. Plus, it includes a reusable bag for storage! 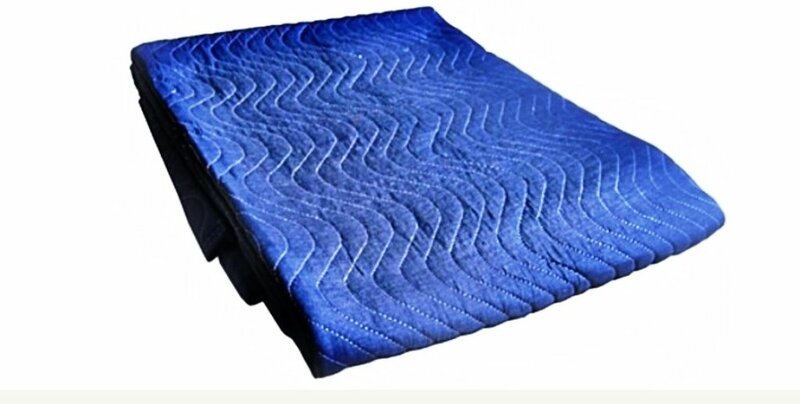 This moving blanket is made of polyester and recycled cotton quilting material that is eco-friendly. Its stark contrast between the green and black sides of each blanket. It has double-stitched seams and soft abrasion-free finish. It measures 72” x 45” that is available in black or green. Plus, you can get a full refund when you return it within 30 days if you are not satisfied with the product. This blanket is one of the most popular choices of professional movers that put it at the top of our list for the best moving blankets you can buy. 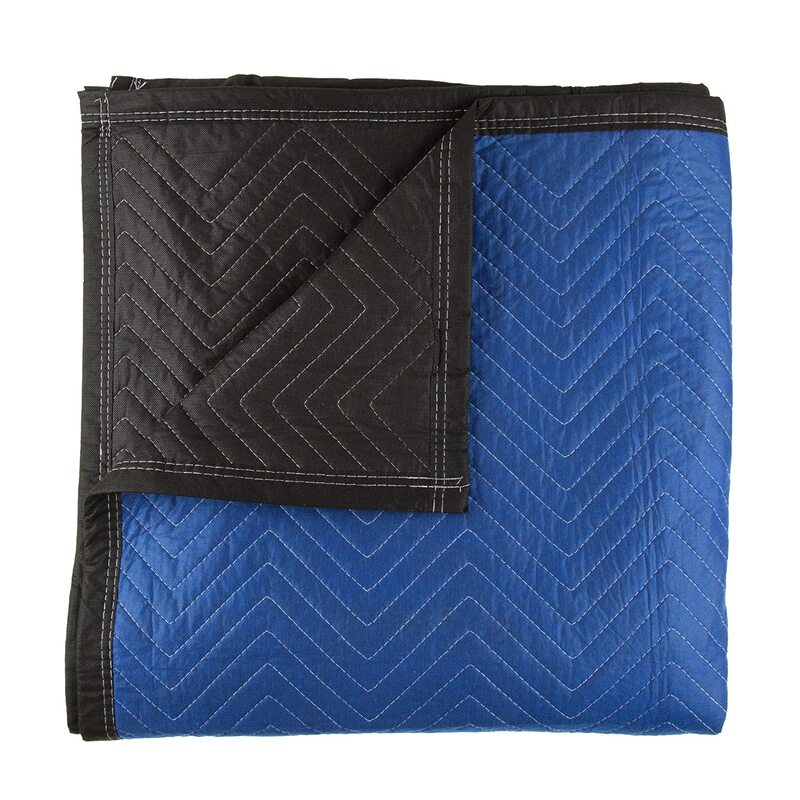 It has tear-resistant zigzag stitching that will go long way with many of your transporting moments in life. Its binding is non-woven and the exterior blocks moisture. It measures 72″ x 80″ that is available in black and blue. Plus, it only weighs 3 pounds per blanket!